Harrison Kaufman and Christopher Anselmo like to joke that they’re too young to drink, but they can write a musical. 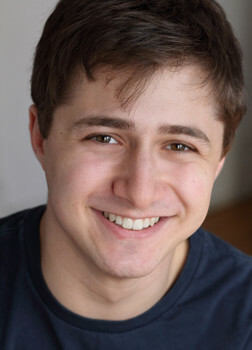 Both 19, the two New Jersey natives — Mr. Kaufman is a Princeton High School graduate; Mr. Anselmo graduated from Allentown High School — are the youngest writing team to be accepted by the New York Musical Theater Festival, a prestigious launching pad for such shows as the Broadway hit Next to Normal. The writing duo’s musical, Fable, will be performed in mid-July at New York’s Pershing Square Signature Center as part of the 11th annual festival. Mr. Kaufman wrote the book; Mr. Anselmo the music and lyrics. The show is one of hundreds submitted from all over the world, reviewed by a panel of established musical theater artists before the 10 winners are chosen. Theater has been a favorite subject of Mr. Kaufman since he was a student at Littlebrook Elementary School. His interest became a passion while he was at summer camp. At John Witherspoon Middle School, Mr. Kaufman was in the musical How to Eat Like a Child. 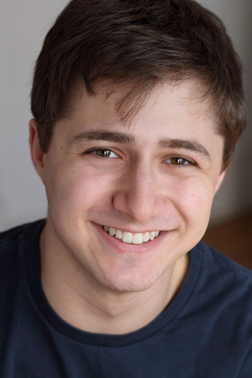 He was involved in different productions at Princeton High and started the improvisational troupe Just Wing It. He took classes at McCarter Theatre along the way, mostly in Shakespearean acting. Fable grew out of song cycle that Mr. Anselmo wrote after graduating from high school. “After that, he came to me and said, ‘Let’s turn this into a musical,’ “ Mr. Kaufman said. “He thought it would take a month, but two years later, here we are.” After submitting their work to a board at Northwestern, the partners had two readings in Chicago last spring. Then in the fall, they decided to send the script to the musical theater festival. As with any theatrical production, there is fundraising involved. “We still have to raise money for this project,” Mr. Kaufman said. “Anyone who wants to help out can click on our donation page and we would so appreciate it.” Visit www.nymf.org/fable for more information.